So, who of you guys knows what kind of time it is now? Sure, it’s time for Christmas shopping. The most fascinating and entrancing holiday when all of the dreams certainly come true is arriving soon. “What a headache!”, – some of you thought right away to yourself, but for us it is an amazing time when we can let our creative nature spree as never before. Actually getting an idea of what exactly could some of your dearest people possibly be waiting for is the hardest part. But we are here to take the whole responsibility for all the second-guessing and to find the right solution all in all. So, welcome to the hottest list of the most wonderful fashion gifts for Christmas that we selected specially for you. Make this day special for you and your beloved ones! 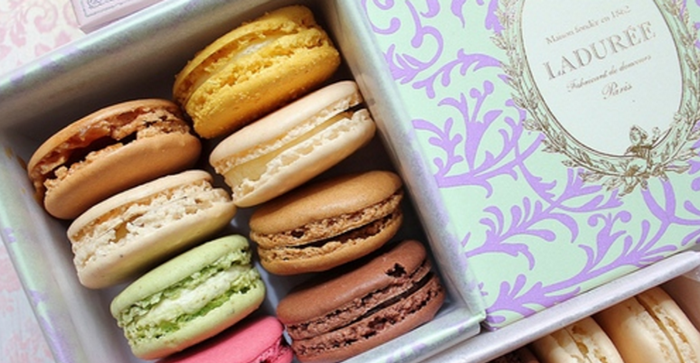 There is no doubt that almost all of you have already heard of the famous double-decker macarons from French Ladurée which is still one of the best known all over the world. But it’s definitely that not everyone is aware of its collaborations with fashion designers. At different times this French luxury pastry-shop invited John Galliano, Christian Louboutin, Consuelo Castiglioni from Marni, Sonia Rykiel and Matthew Williamson for cooperation. They all developed a new stylish packaging decorated by recognizable prints of these brands. Women have two weaknesses: shoes and sweets. You won’t miscalculate if you pick this truly perfect gift for your fashionistas. You will also be able to find the haute couture collection of these outstanding macarons in four colorful boxes draped with distinguished pattern and named The Houndstooth Collection. Fair to say that fashion in Christmas is not only something that you can wear. You can eat it too! “Fashion is neither moral nor immoral, but it is made to boost morale”, – an original brand new exclusive beauty collection asserts. 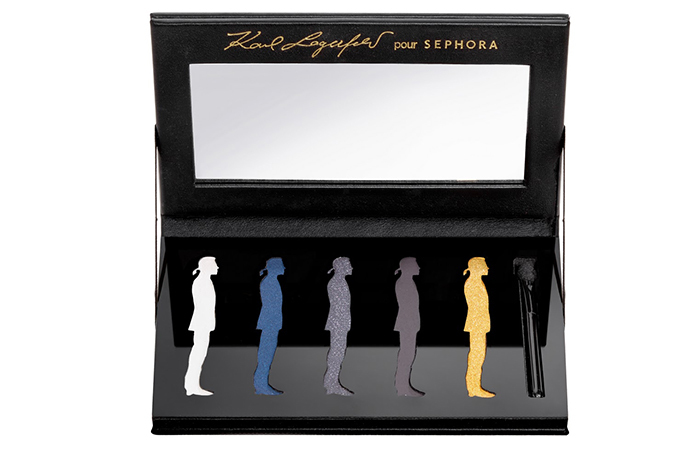 Karl Lagerfeld created this capsule collection of color cosmetics specially for beauty store Sephora to the Christmas. As the matter of fact it indeed boosts the spirit with all the gold and black colors. You have no other choice but to admire these delightful items. A cute snow globe actually does not have a snow in it but golden flakes whirling around Karl’s silhouette. It is impossible to dream of a better gift for Christmas. No, not even one gift but the whole set of six gifts at once. The collection also includes a 5-colour Karl-shaped eyeshadow palette, two bottles of the nail lacquer, a makeup bag, Karl Lagerfeld doll and only as an addition the collection includes the Karleidoscope fragrance. Hurry up, grab the novelty! 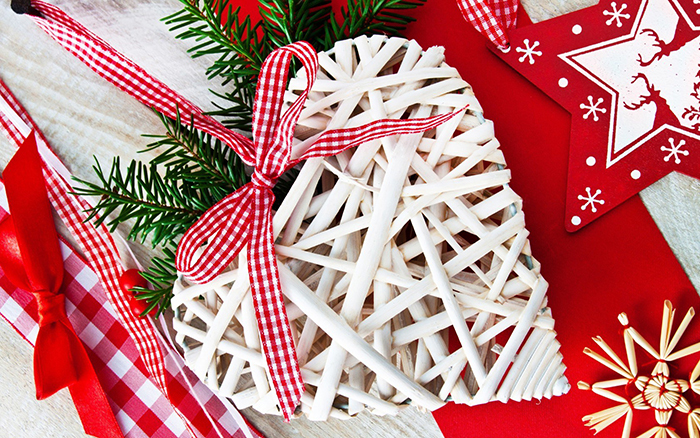 You always wanted to present your warmest wishes in the most stylish way? This year you have a chance to literally portray every little thing that you would wish to someone special and to add your own penmanship to it as well. Even if you would admit that you lack of your own ingenuity, still there are always genius people that you could borrow some of the ideas from and to get what they have to offer. You may claim with certainty that giving is a pleasure, but handmade gift – is a double pleasure. It doesn’t take much: colored ribbons, paper, beads and whatever your imagination is capable for. These cards are distinctively enchanting. It is impossible not to mention Ann Scott whose hand-illustrated cards are pretty much known for her special attitude. 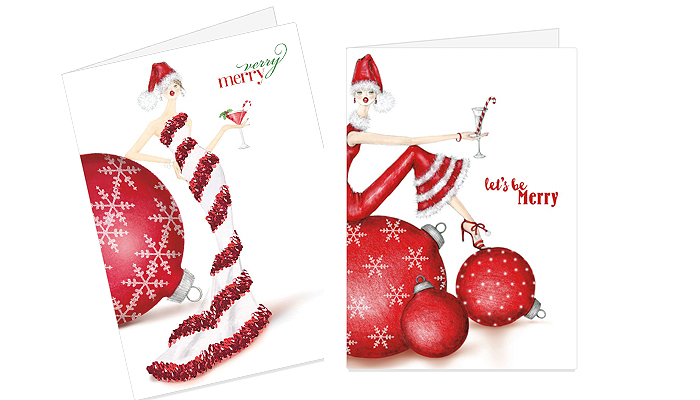 Her cards declare that no matter what holiday it is, you gotta stay fashionable! Enjoy your fancy Christmas! Remember the childhood time when every single Christmas was a kind of incredible magic? Switch off the reality and let’s get back into the fairy tale. 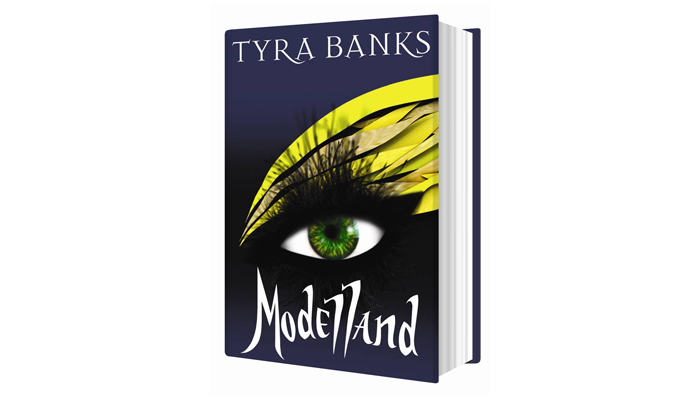 It’s the very moment to be entertained by the magic of a fable world called Modelland which actually is the name of the book written by the fabulous supermodel Tyra Banks. She’s been inspired by her experience in fashion industry and appeared to be an amazing author. It’s an adventure magic story about the protagonist called Tookie de la Créme. Its major idea is to expand the definition of the beauty and to break the stereotypes. So get ready to be amused, emotional and scared. Be careful what you wish for, because you just might get it! 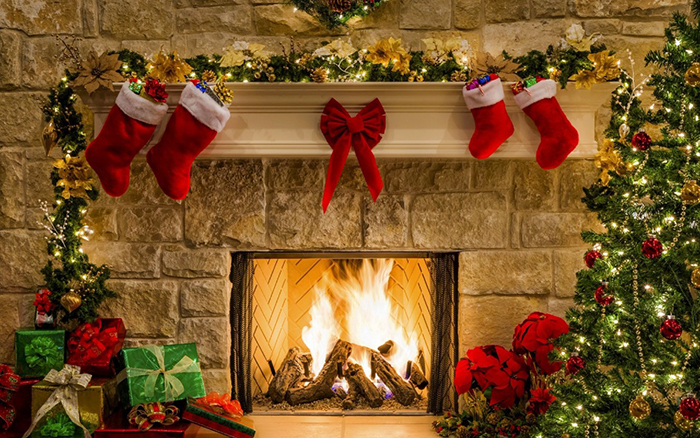 Speaking about Christmas interior, what is the very first thing that comes to your mind besides Christmas tree? Of course, it’s candle lights! It makes the atmosphere so sweet and precious and this is something you can hardly get enough of. 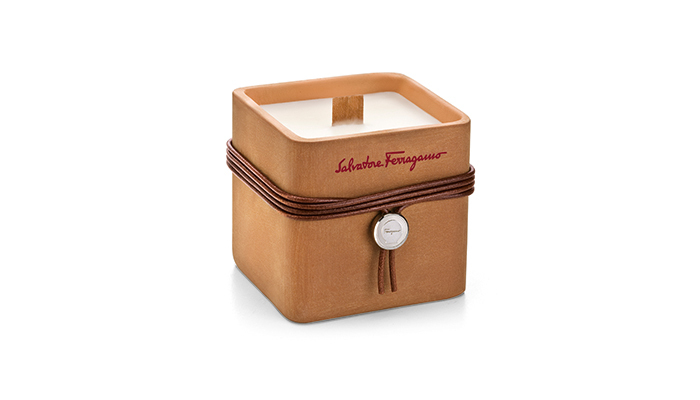 Many fashion houses have already pleased their admirers releasing the beautiful scented candles. So all you gotta do is to pick one for the gift. It’s going to be such a pleasure for the lucky one who can smell this dulcet redolence all year long. At least once in life each of us wished to be able to appear in two different places at the same time. It’s time to get carried away far away from home… to New York in Christmas time. 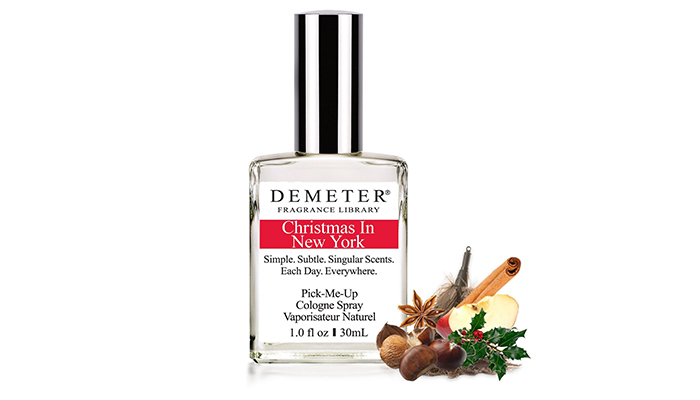 And it takes just one thing – to spray the new Demeter Fragrance called “Christmas in New York”. It combined all of the vivid notes that you could associate with this city: NY cozy cafés, fair, apple, smell of streets and freshly baked sweets. This perfume included all of the flavors and emotions. To make the imaginary trip even more real you should add a couple of other fragrances of the famous perfume house called “Christmas tree”, “Egg Nog” and “Snow”. And only now the image is completed. It’s been more than 10 years since the Louis Vuitton company started the annual production of the travel publications to guide us through the whole list of the hottest spots. The new edition called “City Guide: European Cities”, includes detailed city maps and more than 7000 addresses of art galleries, ateliers, fashion boutiques, beauty salons, historic buildings, restaurants, pastry shops and many other most fashionable sites to see. 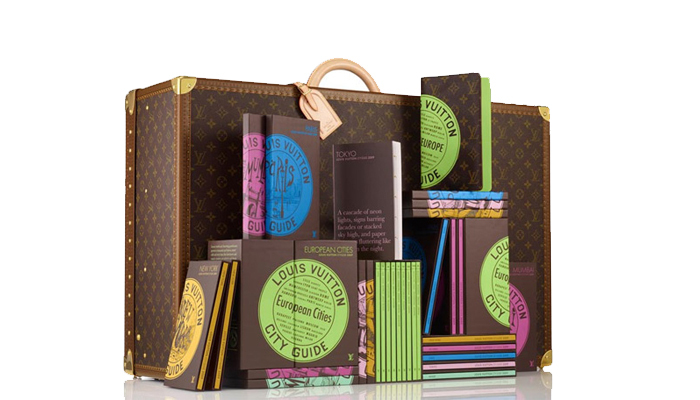 Unlikely it is possible to find a better gift for a traveler in style. It’s extremely important to capture the moment and to make it last forever. Christmas is exactly that kind of occasion which turns into a constant flash flare over the night . Paul Smith offers a huge range of the gift ideas. Look at these cute Christmas baubles, they definitely add a festive mood. 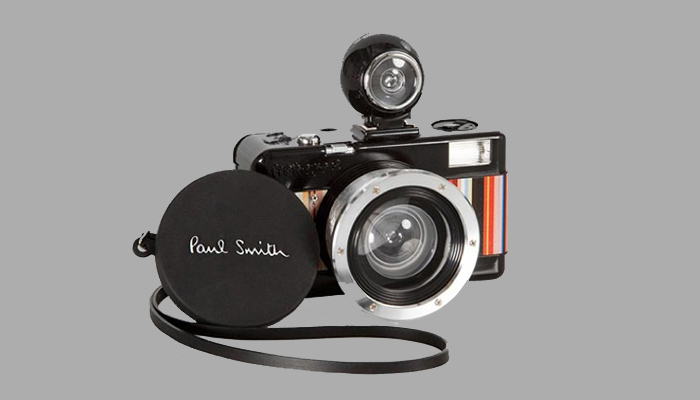 But what we think is important to distinguish as the most pertinent thing to this holiday are – Paul Smith cameras. In spite of the multi stripe pattern, another bright ribbon wouldn’t hurt. So make sure you are smiling because the next thing we are going to do is Click! Enjoy the moment! Oh, there it goes – snowflakes circling out of the window. You can’t ignore the message which is more than just obvious. And still got no idea? It’s nothing else but soaring Tiffany snowflake charm which is about to dive into your cute little box that has a particular shade of blue color known as Tiffany Blue. It would be a fairy tale to find it under the Christmas tree. This would be precisely the most desirable jewel attire most of us would die to get. You just have to pick one of those sparkling items and it’s not the easiest thing to do. 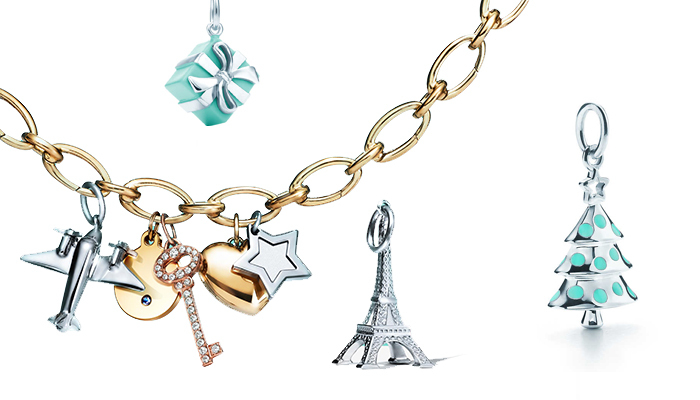 This is simply the perfect charm for a charmer. Admittedly, the only one thing that will never go outta trend is called Love. In addition to all the existing values and benefits in the world this is probably the most essential gift and Christmas is just another reason for it. And all these fashion couples remind you what is really important. Yesterday, today, tomorrow…it is always in demand! Love, be loved and Merry Christmas to all of you! Make it the most memorable and fashionable time!